Published on 6 May 2014. Earlier in the year, Richard Sambrook (the former director of BBC News) wrote an article for The Guardian in which he argued that 24-hour news channels were no longer relevant in the modern world. This week, with news reaching The Independent that his thoughts are being taken seriously inside the BBC, I feel like it's time to put across an alternate point of view. Here are six reasons I believe Sambrook is wrong. Cable news established the 24-hour news habit, but today social media and mobile phones fulfill the instant news needs of consumers better than any TV channel can. Twitter – and increasingly live blogs of breaking news events – consistently beat 24-hour TV channels. Being first – the primary criterion for 24-hour news channels – is increasingly the least interesting and effective value they offer. Sambrook is right to say that the ability of television channels to deliver lines of breaking news at high speed is limited in comparison to online sources, whether accessed through mobile phones or social media. But most online and social media outlets are poor at putting those lines of breaking news into context. Indeed, at present, news channels are equally poor at this. In my vision of a news channel, a line of breaking news would appear on screen, in much the same way as it appears online. Perhaps, "Valco supermarket chain in administration". I don't need the channel to break away from whatever it is reporting to bring me this news – it can simply appear on screen. That is the benefit of the visual medium. Then, within a short period (say within fifteen minutes or half an hour), the BBC can put one of its expert business correspondents on the air to discuss that news in context. They can tell me the relevance of this to the City, to individuals, and perhaps even bring a degree of response from their journalistic contacts. There is no need to discuss the news immediately and constantly repeat a single line accompanied with endless speculation. Instead, the channel should wait until there is something to report, and report it in a detailed and intelligent way. The infrastructure behind a 24-hour news channel is impressive – and formidably expensive. The biggest cost comes from having created a machine that has to be fed. Every 15 minutes we go back to our reporter in the field for an update on what's happened since the last time we visited them. Most of the time the answer is "nothing". Going back to a reporter in the field every fifteen minutes is not only expensively, it's also irritating. There is no need to do this. There are two reasons news channels do this: to fill time, and to follow the structure of a conventional network news bulletin every half hour. We'll return to the former, but the latter is simply farcical. There is no reason (beyond "it's what we've always done") for 24-hour news channels to follow the structure of a conventional news bulletin. There is no reason why we have to return to the same correspondent to repeat the same news every hour. This is a problem of the format, not of the medium. A much more open-ended structure is possible. Newsgathering becomes a sausage machine, dedicated to filling airtime. Hours a day are spent on live feeds waiting for something, anything, to happen. The editor can't risk broadcasting a different report or going live somewhere else in case he misses the start and a rival channel can claim to be "first". Of course, there is no reason to do this other than it being what rivals do. Every Wednesday, I cringe as presenters on television and radio fill in anticipation of Prime Minister's Questions, which starts a variable number of minutes after midday. Every Wednesday, I wonder why no broadcaster has had the bright idea of scheduling a five-minute discussion previewing the content, and then starting the coverage, cleanly and professionally at 12.05, through the simple use of a few minutes' delay. The number of people who are insistent on watching Prime Ministers' Questions absolutely live is probably tiny. I know that I, for one, would prefer to watch a slick production with informed commentary and analysis rather than an unedifying scramble every week. The need to fill airtime – and particularly the need to be seen to be live – means that in the heat of the moment questionable editorial judgments can be made. Everything seems to be "breaking news". In the last 12 months we've seen the BBC showing live pictures of an empty courtroom in the US, eagerly anticipating the sentencing of already convicted kidnapper Ariel Castro – a story of interest to few if any in the UK. There is a need to fill airtime. There is not a need to fill airtime with live content. With 24-hours at their disposal, and with less of an emphasis on a presenter reading a single headline every time news breaks, there is much greater scope for in-depth reporting and interviews with newsmakers. Watch an hour of any 24-hour news channel, and you'll almost certainly see an interview cut short, often for no good reason. Allow these to be much more open ended, and repeat them (in edited form, with expert analysis) and much of the airtime will be filled. As with Prime Minister's Questions, make much more extensive use of live delays and on-the-fly editing to increase the standard of presentation, and to allow the programme to naturally flow. Similarly, I can see no reason why these channels don't make the most of the available air time to show more "explainers". I think an occasional airing of an updated 15 minute background package on what's actually happening in Ukraine would be a valuable service a news channel could offer. And it would fill time at low cost. The number of stories that are conveyed by live "as it happens" pictures is vanishingly small. Many stories – the economy, climate change – aren't best served by pictures; others (inside Syria, Iraq, Afghanistan or Zimbabwe) often don't have pictures available until days after the event; many more work better with a well crafted, tightly edited package rather than a live feed. There is no reason for 24-hour news channels to be so focused on live pictures. Well-crafted, tightly-edited packages would be welcomed by viewers over somebody standing in the rain reporting nothing. Sambrook's suggested on-demand news service (I haven't quoted his whole plan, for it is far too long) involves people actively participating in creating their own bulletin. This is precisely the opposite of what I believe the BBC should be doing. We, the people, have terrible news values. The more the BBC tries to align itself with our values, the more it degrades its worth. We need to be told what we need to be told. We need experts to fight for coverage of their areas. We need to know what matters, not what we want to know. And we place our trust in the BBC to make those decisions for us. If the BBC won't make those decisions, but will defer to us, then there is no point in the BBC existing. I can ferret out news that interests me from a wide variety of sources without the Beeb's help. And in the areas in which I have a particular interest, that's exactly what I do. But the BBC, and its news channel, should be about expert contextualisation. It should be the outlet which says "actually, this isn't an important story, so we're not covering it in depth" more often that it says "sit up and pay attention, this is boring but important". It should make the most of genuine experts in their field – including fields it currently covers with a laughable level of credibility, like science and technology. The BBC news channel should be the "news channel of record". It should cover things in depth and intelligently. It should not chase ratings, and it should not be in a race to read out lines of news with no context. It should not be obsessed with live coverage. It should edit, curate, and analyse. In his analysis, Sambrook conflates the current output of news channels with the medium of news channels itself. He uses the argument that current output is poor to suggest that there should be no output. I disagree. I think that news channels can be done better – particularly the BBC News channel, which doesn't have to answer to shareholders, and doesn't have to chase ratings. It should be held to a higher standard, and should drive the quality of 24-hour news up. The BBC should not abandon it altogether. The image in this post was posted on Flickr by Ian Wright, and is used under Creative Commons licence. This 2,229th post was filed under: Headliner, Media, News and Comment, Responses, Tweeted, BBC, BBC News, Journalism, Richard Sambrook. Comment posted at 18:25 on 7th May 2014. Hi Simon – an interesting contribution, thanks! Just to clarify a couple of points. We (I wrote with former colleague Sean McGuire) never suggested 24 hour news channels should close – just that their purpose needed to be re-thought, rather as you have suggested here! In fact towards the end of the piece we offered some examples of how they might change. The problem is all news channels market themselves on breaking news but have been substantially outflanked by the internet. So they need to find a fresh proposition. I think your suggestions are all interesting ones – but hardly any news channels currently behave that way which is a waste of resource and airtime. Also, we weren’t writing about the BBC specifically but about news channels in general making sure we used a wide range of examples. Thanks for joining the discussion – our views are much closer than you suggest! Richard S.
Comment posted at 19:11 on 7th May 2014. Thanks so much for your comment! I never imagined that you’d get to read this! I’m delighted that our views have so much in common! I’ll happily admit that, to some extent, I selectively quoted to draw out what I thought were differences of opinion, and I was sort of reacting to the coverage of your comments as much as the actual content. I agree that your article had lots of good suggestions, even if I didn’t acknowledge them above. 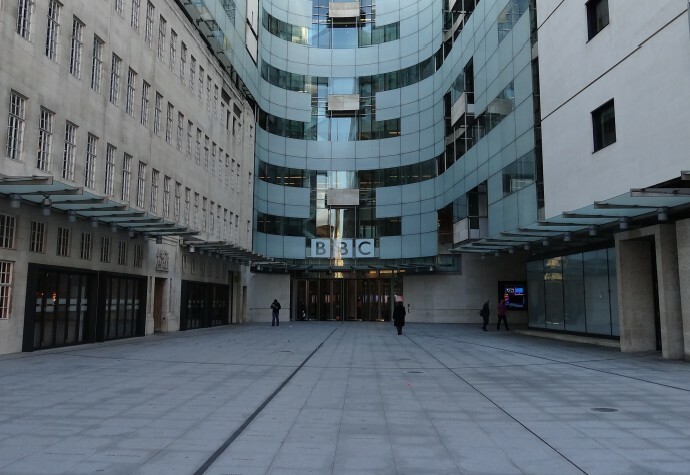 I think it would be great to see more experimentation with new propositions, as we both suggest, and I think the BBC is in a strong position to lead the way. The budgetry challenge seems to me to present an opportunity here! Thank you again for your comment, and for the Guardian article. It’s always fascinating to read the views of those with such extensive knowledge and experience in the field, and I really enjoyed your article!